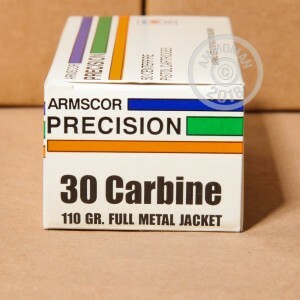 Armscor 30 Carbine FMJ Rounds are perfect for anyone looking to get out to the range with their M1 Carbine Rifle. 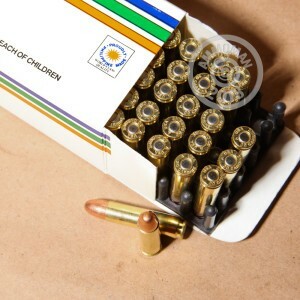 These rounds are brass cased new production. 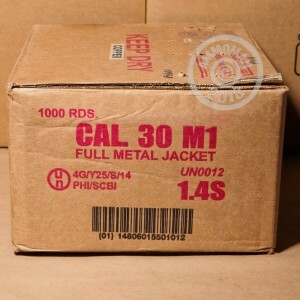 Each round is boxer-primed, and reloadable. Ordered on Tuesday, arrived Friday morning. I took my 1943 Rock-ola to the range that afternoon and put 200 rounds downrange with no problems. I will order more when I run low, which won't be long. Great ammo, got me sighted in. paper target on cardboard!! Will get more soon.